The arc flash boundary is a vital metric to figuring out how far away your employees must be before they don their personal protective equipment (PPE). Without an accurate calculation of this boundary, your employees will be under unnecessary risk or may prematurely wear out their equipment due to wearing it needlessly. The arc flash boundary is detailed as a safe approach distance from parts or equipment that is currently energized, also known as “live.” According to the NFPA 70E standard, there are complex calculations that one can perform, but the general rule is that exposure at the arc flash boundary is 1.2 cal/cm squared. The “rule of thumb” arc flash boundary for lower voltage, sub-600V systems is four feet. There are times when the arc flash boundary will be reduced, such as with different materials between the person and the equipment. Wearing PPE also impacts the arc flash boundary. For higher voltages, up to and including 15kV, the arc flash boundary and calculations can be used for gaps between 3 mm and 153 mm. If electrical equipment has not been deemed safe to approach, it is to be considered live and the arc flash boundary should be no less than four feet until safety is determined or further calculations are done. This is differentiated from the prohibited or restricted approach boundaries because of risk level. An employee crossing a restricted approach boundary requires PPE every time, as well as specialized training due to a high level of risk. The highest level of risk, the prohibited approach boundary, is to be treated as if the individual were in constant contact with the live electrical equipment. If you or one of your employees performs a bad arc flash boundary calculation, the danger is substantial. On the one hand, an employee who underestimates the arc flash boundary is at an increased risk of sustaining an electric shock that could jeopardize their wellbeing. The poor calculation can also expose you, as management, to legal action and could even result in having to close down your establishment until more effective safety precautions can be put into place. This says nothing about worker morale, which could result in workers being unwilling to operate in potentially unsafe areas. Naturally, the opposite possibility is also real. If you miscalculate the arc flash boundary at a substantially great distance than it is, you run the risk of having equipment be misused. In the case of personal protective equipment, wearing it too often can result in worker negligence due to being “overly cautious” and not appreciating the potential dangers they could face. Further, the increased wear and tear on the equipment could result in its prematurely wearing out. This can increase your costs, or result in PPE failure that could also impose danger on your employees when they are within the arc flash boundary. Generally speaking, an employee must wear personal protective equipment when they are inside the arc flash boundary. When PPE is used effectively, the boundary lessens considerably due to its reliance on electrical conductivity. Since bare skin has a relatively high level of conductivity, PPE must be worn in a close proximity to live electrical equipment to avoid creating an arc between the equipment and the ground. 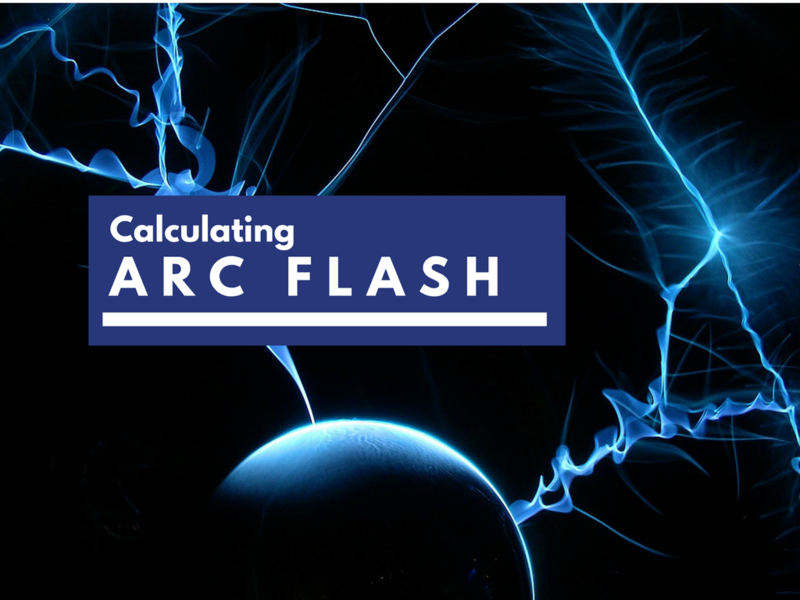 A simplified calculator is available for specifics, and differing methods are available for determining the arc flash boundary. The main variables include the voltage, the time available for arching before the equipment’s protective equipment activates, the level of local grounding vs high resistance, how large the three phase fault is, as well as the equipment’s type and conductivity gaps. The calculations are generally simpler to perform using calculators unless either the manufacturer’s information is available directly or there is a highly customized setup in use. Securing appropriate training in the use of PPE when approaching or getting within the arc flash boundary is vital for many reasons. The relevant OSHA standards apply to specially certified workers and to those who may have to periodically pass through or near an arc flash boundary. Securing effective training can be done relatively easily through NTT’s 2-day Arc Flash Electrical Safety Training. With this seminar, your employees will learn how effective equipment maintenance reduces injury incidence, as well as how to perform safer work practices and to use test instrumentation properly to reduce the potential of injuries while working in the area near the arc flash boundary. NTT Training is accredited by ACCET, which provides a standard to which organizations can be verified effective. NTT training maintains legality and makes for safer workers.